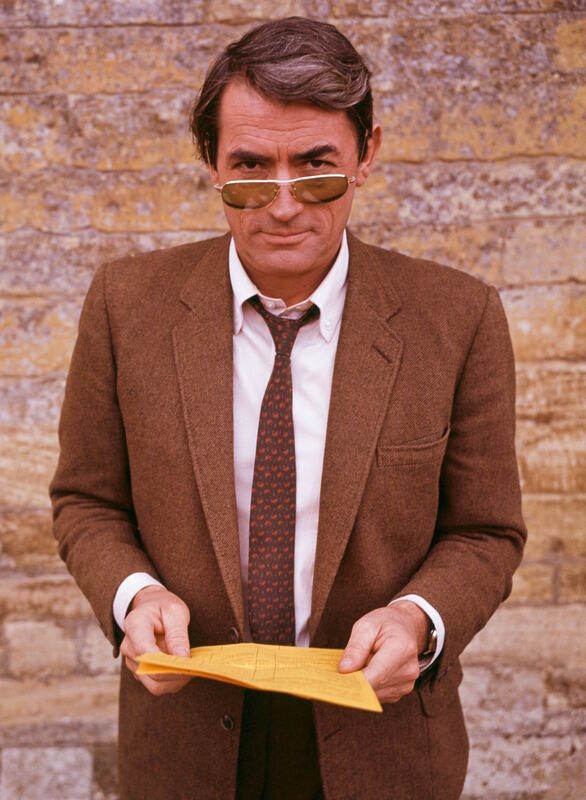 Today marks the 103rd birthday of Eldred G. Peck, better known to the world as Gregory Peck after dropping his first name in pursuit of his now legendary acting career. Peck received five Academy Award nominations over the course of his career, finally winning the Best Actor statue for his performance in To Kill a Mockingbird. 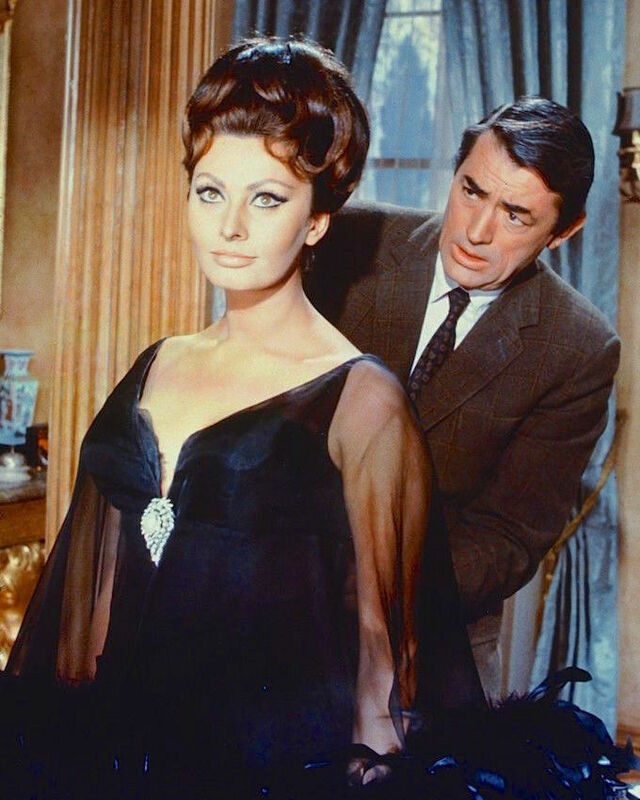 Later in the decade, Peck starred opposite his friend Sophia Loren in Arabesque, Stanley Donen’s follow-up to Charade that—like its predecessor—blended elements of comedy, espionage, and romance into one Hitchcockian package, though even Donen had to admit that the film was more style than substance. On the actor’s 74th birthday, I’m responding to a frequent request from a fellow Tom who kindly brought my attention to Selleck’s pre-World War II style in the little-known 1984 caper film Lassiter, made during the actor’s Magnum P.I. heyday. 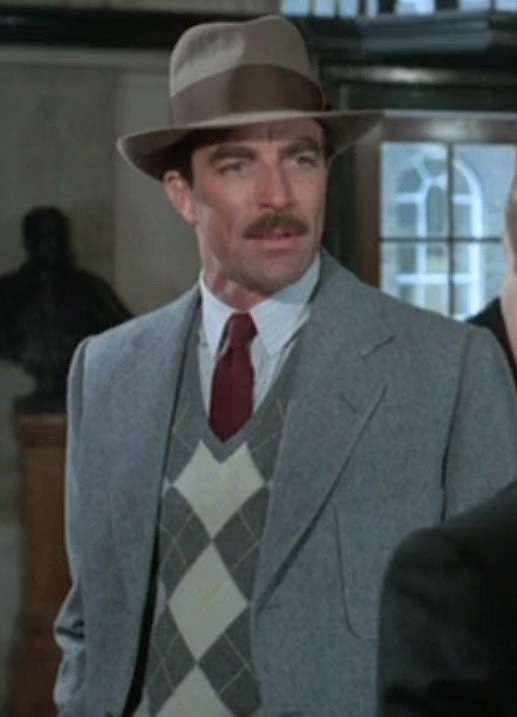 Selleck starred as the title character, Nick Lassiter, a daring and debonair jewel thief in the tradition of David Niven’s “Phantom” from the Pink Panther series with a twist of Indiana Jones… perhaps to make up for the fact that Selleck had turned down Raiders of the Lost Ark before Harrison Ford made the iconic role his own. Three years after helming “the best Hitchcock movie that Hitchcock never made,” director Stanley Donen again returned to the romantic world of lighthearted espionage with Arabesque, based on Alex Gordon’s 1961 novel The Cypher. 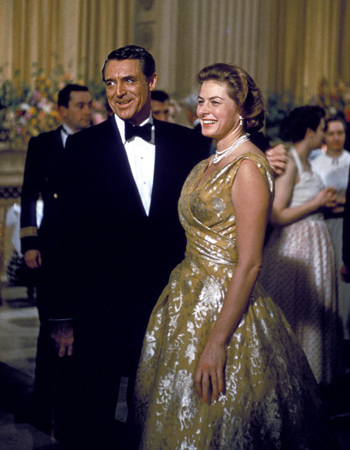 Like Charade before it, Donen brought two glamorous and popular stars together for a lighthearted and stylish spy story against a European backdrop. 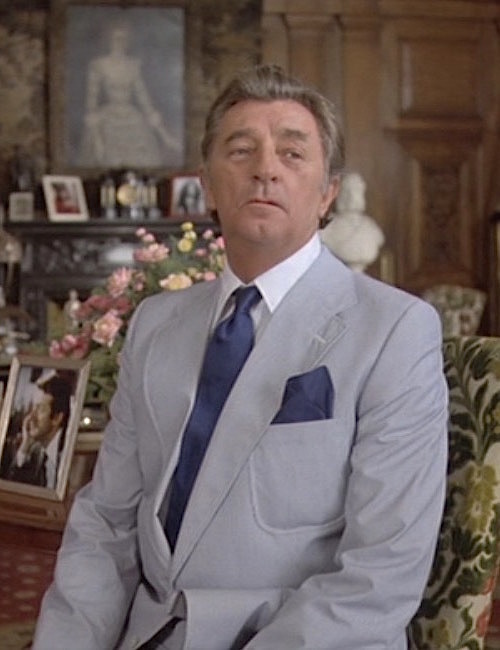 Raymond Chandler’s birthday was 130 years ago today (July 23, 1888), so I’m celebrating the hard-boiled author’s big day with a look at a cinematic portrayal of one of his most enduring creations, cynical private eye Philip Marlowe, as played by Robert Mitchum in this 1978 update of The Big Sleep. Reilly: Ace of Spies fictionalizes the exploits of Russian-born spy Sidney Reilly, often cited as a real-life basis for Ian Fleming’s James Bond. 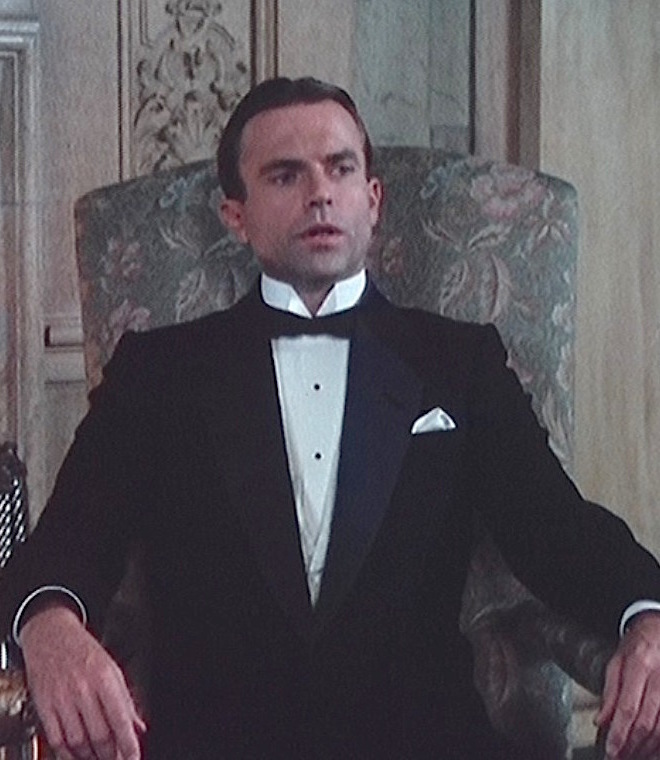 While the showrunners must have been cognizant of the need to place their suave British secret agent in a tuxedo, the series’ narrative also coincided with the rise of the dinner jacket over the first quarter of the 20th century. 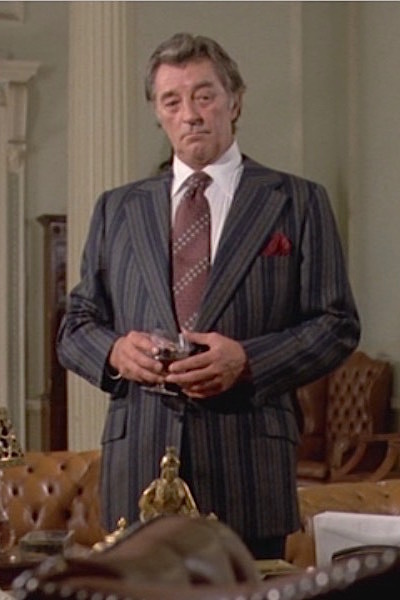 Philip Marlowe is a bold dresser. We learn that from the opening paragraph of Raymond Chandler’s inaugural novel, The Big Sleep, with the description of the detective’s powder blue suit, dark blue underpinnings, and socks with clocks. The rest of the United States may have adopted a somber approach to dressing during the years of the Depression, but Marlowe is an L.A. private eye. He’s gotta turn heads.